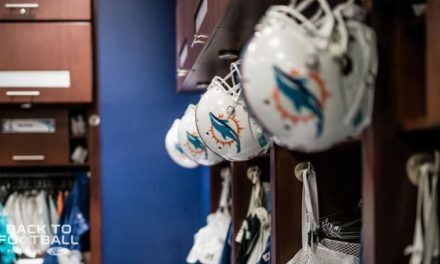 The talk and speculation about the Miami Dolphins are that they are going to be tanking next year in hopes of getting a high draft pick to get a quarterback in 2020. I don’t like to hear the talk of the Dolphins tanking because the quarterback class is better next year, and this year’s class isn’t as good. Look if the Dolphins don’t like the quarterbacks in this draft that’s fine every year is different, but last everybody thought the team would trade up for one of the quarterbacks taken in the top 10 and it never happened. The off season hasn’t started yet with player movement so nobody really knows what the team is going to do. All people go by is what people are reporting and what people say on talk radio, but until things happen, we don’t know what the Dolphins will do. 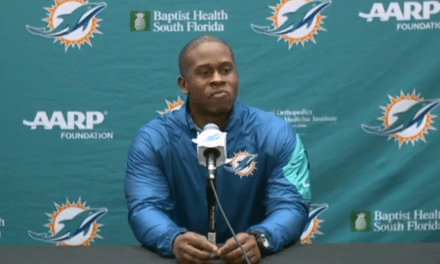 Chris Grier, who I’m sure has been evaluating the roster, still needs to finalize a deal with the new head coach. 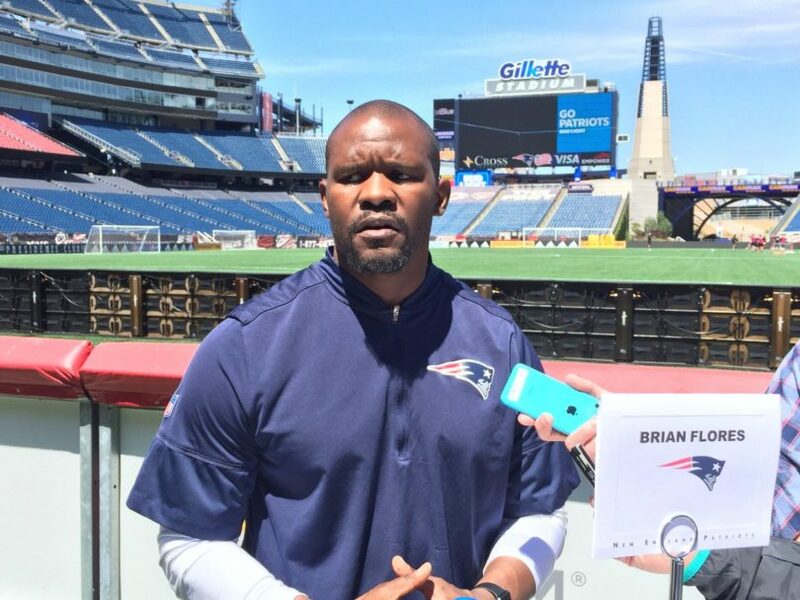 From all indications barring a change of heart, it will be Brian Flores once the New England Patriots season ends and not only does, he has to put a staff together, but also needs to evaluate the roster with Grier for his input. Ultimately Grier will be making the final call, but I’m sure he will want some input from his new head coach. Grier is also changing some of the make up to the front office and scouting department so there is a lot of work on a lot of levels before any final decision is made on players on the roster and so forth. There have been some rumors that the Dolphins want to focus on rebuilding the trenches, the offensive and defensive lines, and quite frankly I’m fine with that. Outside of finding a franchise quarterback, the offensive and defensive lines need significant upgrades in talent. This draft seems pretty loaded on the offensive and defensive line, so it seems like a good route to go if there is no quarterback worth taking. The Dolphins the last few years have been getting pushed around on the offensive and defensive sides of the ball. You can have all of the skills position players you want, but if you don’t have strong play in the trenches sooner or later you are going to get exposed and get beat physically. 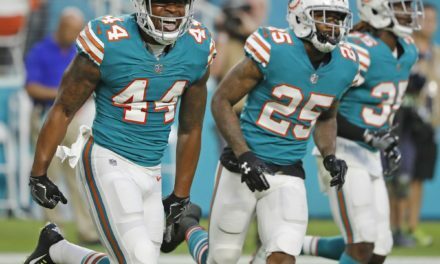 In the AFC East, all of our division rivals have strong defensive fronts and at times the Dolphins offense has gotten pushed around so if the talent doesn’t get upgraded it could be the same way next year. Just because the Dolphins want to rebuild the trenches doesn’t mean you are throwing away the season. Improving the talent level and play on the offensive line could open up more holes in the running game, give the quarterback more time to throw to make big plays, and keep negative plays that keep the team in dive killing 3rd and longs. On defense, if they add significant talent on the front maybe they will be better against the run and pressure the quarterback and help out the back seven of the defense. If anything, upgrading in the trenches can keep you in games. The thing is we don’t know what Grier is going to do with the players on the roster currently. I know the team has just under $20 million in salary cap space, but there are obviously ways to create more salary cap and I don’t know what Grier wants to do. He might want to cut a lot of players or trade players for the highest draft picks he can get. A couple of years ago, the Buffalo Bills traded away some of their best players like Sammie Watkins, Ronald Darby and even traded quarterback Tyrod Taylor to get extra draft picks to get in position to trade up and get Josh Allen. The thing is the Bills while it looked like they were tanking were competitive and got in the playoffs as a wild card team in 2017. The moves they made to get extra draft picks helped them get in position to get their quarterback and get more cap space in the future. That could be a route the Dolphins go, but the truth is we don’t know. 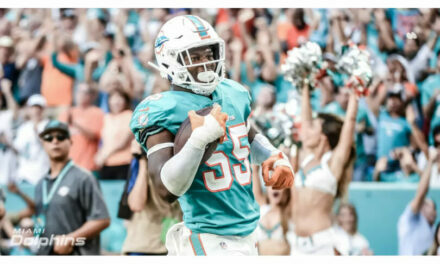 I’m sure the Dolphins are going to turnover some of the players on the roster because the players we currently got haven’t been getting the job done. I’m sure the Dolphins are going to rebuild, but I’m sure they want to be a competitive team. The problem is we haven’t seen them make a roster move yet and until that happens, we don’t know what is going to happen.